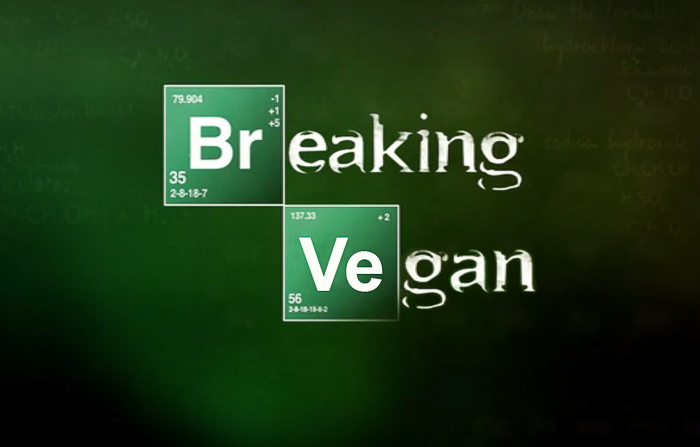 Welcome to another Micro Representations where I highlight big and little references to veg-based lifestyles in media. 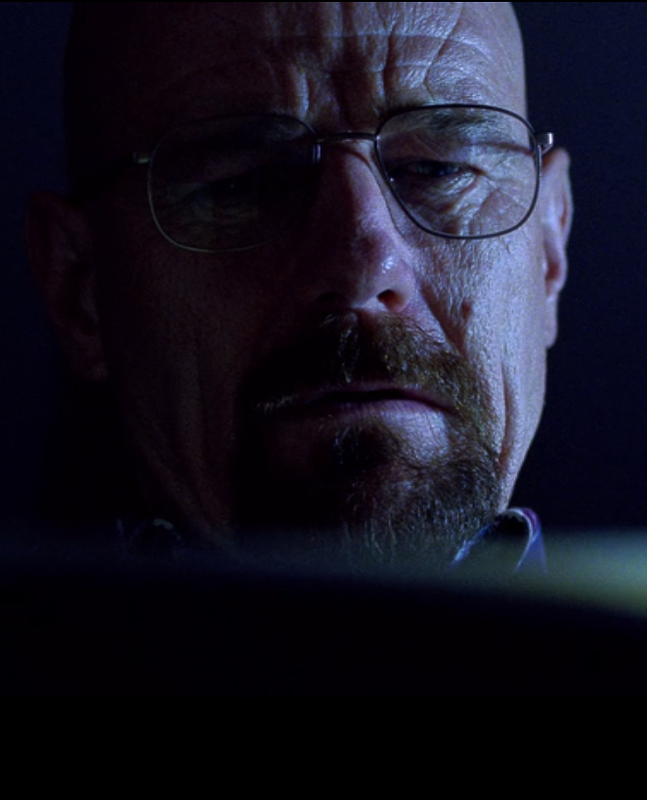 Today’s post references season 4, episode 4 of Breaking Bad. Consider that your SPOILER warning. Meet Gale. He is a chemist and inventor of elaborate high-quality coffee brewing contraptions. 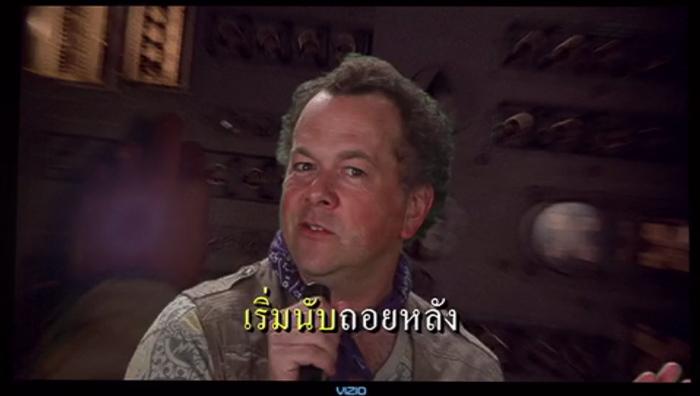 He also likes singing Major Tom at karaoke. When Gale is not assisting Walter White in making the world’s purest, most chemically stable meth in their underground super lab—he’s busy re-inventing how to make the best homemade vegan s’mores. That’s right folks Gale is freaking vegan! 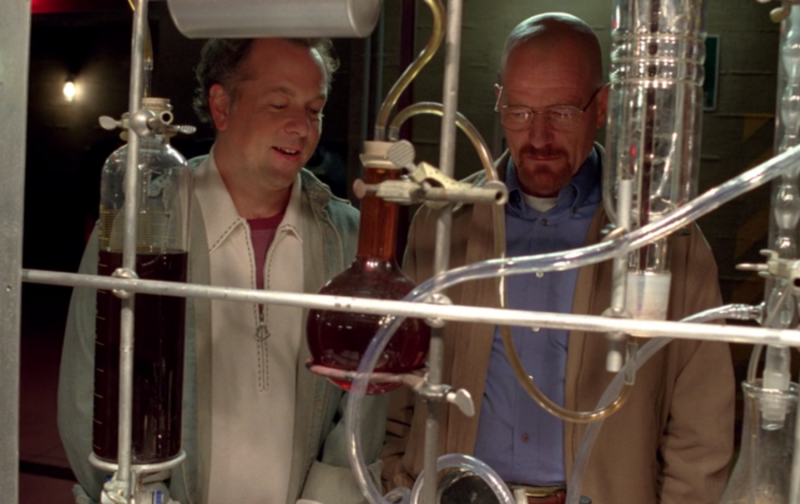 In this scene Hank, the investigating DEA agent and brother-in-law to Walt, is seeking Walt’s chemistry expertise. Little does he know. We won’t talk about what happened to Gale, but his lab journals and other items from his apartment are now in DEA custody. Walt is pouring over the journal trying to find any mention of himself amongst the comprehensive lab notes, inventions, and vegan recipes. Has anyone made these according to his instructions? 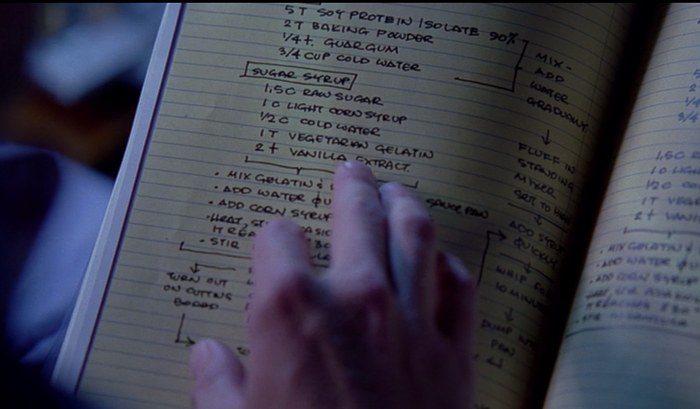 Is there a clear enough screen shot to get the entire recipe?? Someone tell us! Gale’s veganism also helped Hank pause when they found a Pollos Hermanos fast food bag in his house with a number on it. You know, because chicken and all. Was anyone else giddy when this scene unfolded?